Before you can enjoy Kioni Harbor, you need to first make your way to Ithaca. 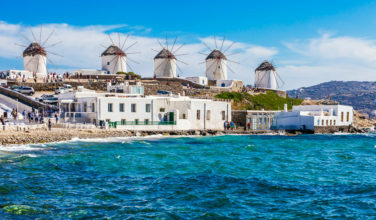 Like most islands in Greece, you can arrive here by ferry. There is no direct route from Piraeus to Ithaca, you need to take the ferry from nearby Simi to or Poros. 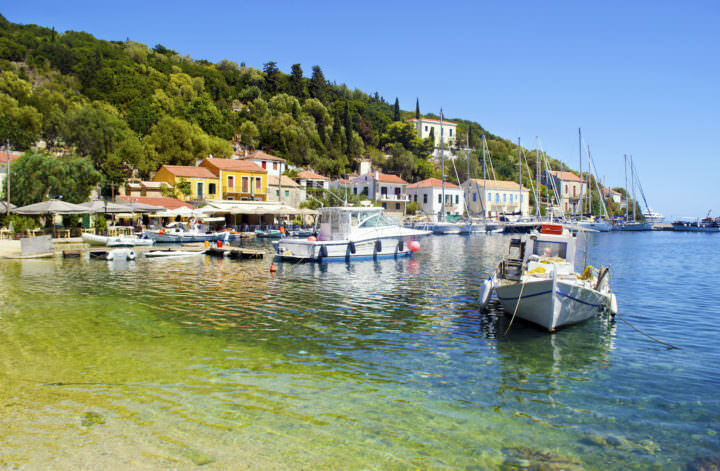 The closest airport is on the island of Kefalonia and from there, you can also take a ferry to Ithaca. Flights leave from Athens to the Kefalonia Airport several times a day. Kioni Harbor is located in a picturesque village by the sea. Some visitors to the island agree that it is one of the most picturesque villages on the island. Even on the island, this places is known as a great place to escape, relax, and unwind. Sure, this is why people do end up on an island like Ithaca, but the fact that there are hidden gens such as Kioni Harbor makes it even more worthwhile a place to be. People report that it is a great place to relax and feel their stresses melting away. Eat a Great Meal. One of the best things about Kioni Harbor are the many cafes, restaurants, and tavernas that are along the water and in the surrounding area. The atmosphere here is very relaxed, so you can eat a leisurely meal for several hours and feel you stress melt away. Go for a Walk. 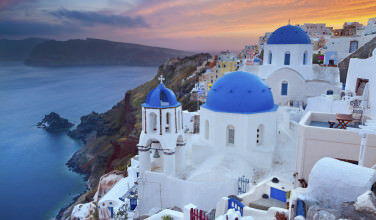 Another great activity to do here is walk along the harbor and meander through the streets. Browse through the shops and enjoy the beautiful scenery while you walk. Enjoy the Water. The best thing to do while here is find a way to enjoy the water. 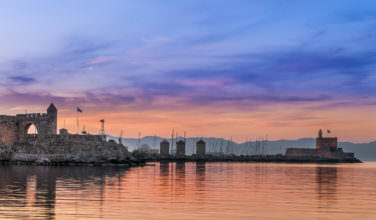 Sailing is a popular activity here, so if you’re interested, ask at your hotel for advice on how to take a sailing trip. Ithaca is one of those fabled places that seems larger than life. Once you get here, though, you realize that this really is a great island to spend time at. While visiting, you won’t want to miss the chance to visit Kioni Harbor!